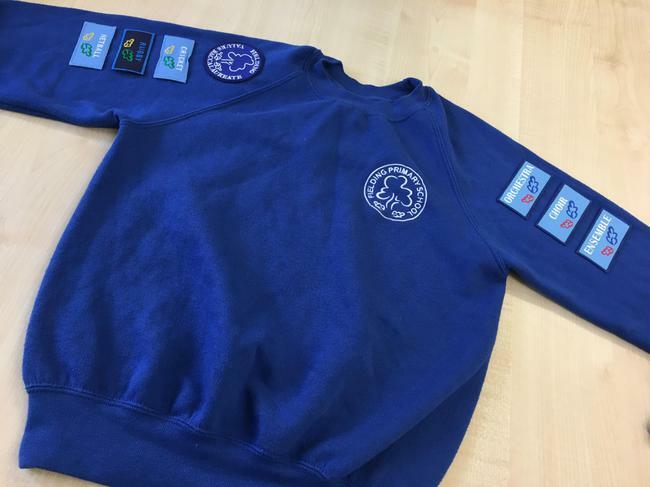 At Fielding Primary School our children are proud to be members of our school and wear our uniform. 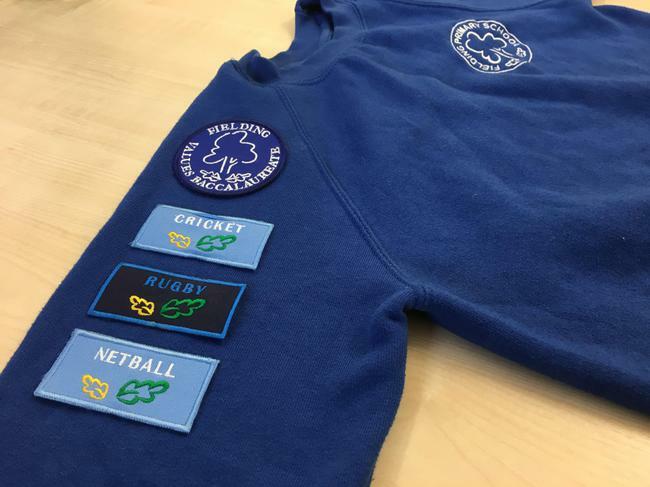 The uniform has been designed to be practical for a primary school while reflecting the high standards expected at school – it is to be worn with pride at all times. We feel that it is important that children learn to dress smartly and appropriately. They grow up at Fielding understanding that most secondary schools and later in life, businesses, require smart, professional dress. Judgements about acceptability of uniform and appearance can only be made by school staff and ultimately the Head Teacher. plain black shoes. For safety, no boots, open-toe, high-heels, platforms or roller shoes. Wellington boots may be worn to school during snow or very wet weather. Branded and/or designer items of clothing are not to be worn. Jogging bottoms or shorts maybe worn for outdoor sessions all through the year; shorts to be worn for indoor sessions. Shorts may be worn under jogging bottoms. * Marlborough (dark) grey jogging bottoms are stocked by our uniform supplier, see below, but can also be purchased from any other supplier. When purchasing new items, please check uniform expectations. Values-based education baccalaureate, top of right-hand side shoulder. Gained during Year 4. Sport, right-hand side upper arm. Gained when a pupil is selected to represent Fielding in sport. Music, left-hand side upper arm. 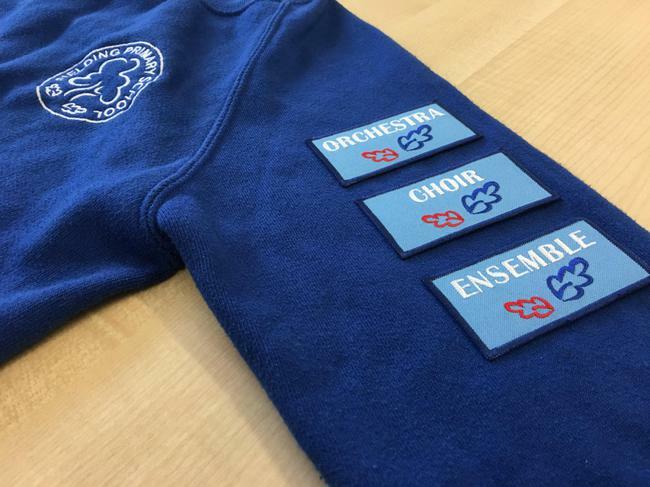 Gained when a pupil performs in Choir, an ensemble or our orchestra. Register at http://www.stitchdesign.co.uk/fieldi to receive a username and password. Sign in at http://www.stitchdesign.co.uk using the parent tab to place your order. All items of clothing need to be named and children need to be encouraged at home and school to take care of their own property. Hair must be neat and tidy (covered, plaited or in a pony-tail if long). Extreme colours, styles or hair accessories that undermine the ethos or discipline of the school will not be permitted. No make-up or nail polish is allowed.